The Premier League title race is going down to the wire and it's still in the hands of Manchester City. Pep Guardiola's side know if they win their five remaining games the trophy will stay in Manchester. However, Liverpool kept up the pressure on City with a crucial win over Chelsea in their toughest test left before May 12. City have won nine league games in a row but their next two games could well decide who's celebrating in a month's time. Tottenham will visit the Etihad Stadium twice in the next week and then City go to Manchester United on April 24. Manchester City lost to Tottenham in the first leg of their Champions League quarter final last week but it was the one game of the three against Spurs that City could afford to lose. Guardiola has received a bit of criticism for his team selection in that game but he had to manage his squad for a busy run of games and he'll be fully vindicated if City overturn a 1-0 deficit against Spurs and then go on to win their five remaining league games. City have won 16 of their 17 league games at home this season so it's a tough ask for Spurs on Saturday but only wins will do for City or Liverpool between now and the end of the season. A draw feels like a defeat such is the pressure and relentless nature of this title race. Liverpool could win their last four games and still finish runners up with 97 points. Liverpool supporters have had their eye on the Manchester derby ever since it was rescheduled to a later date. Liverpool need United to do them a favour and United need the points to keep them in the mix for a top four finish. United were fortunate to get all three points against West Ham on Saturday and form would suggest that City can come away from Old Trafford with all three points for a third year in a row under Guardiola. If City pick up six points from their next two league games it's hard to see them dropping any points against Burnley, Leicester or Brighton. 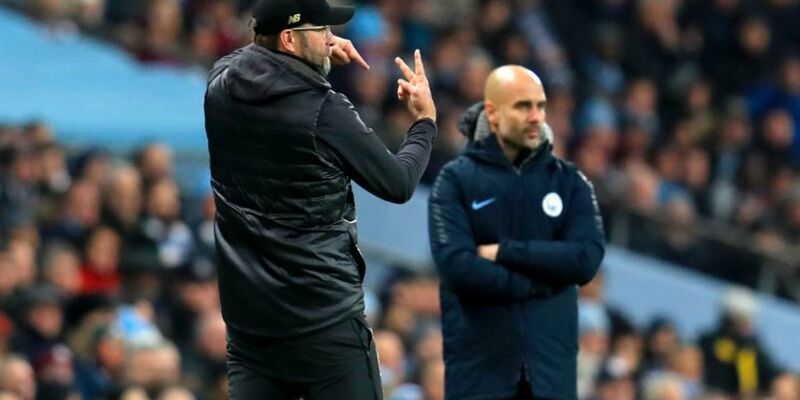 Liverpool have won five league games in a row since the draw with Everton in early March so Jurgen Klopp's side are poised to pounce if City leave the door open. 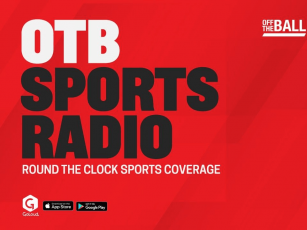 Subscribe to Off The Ball's YouTube channel for more videos, like us on Facebook or follow us on Twitter for the latest sporting news and content. "It's very rarely a left-winger can influence how the rest of his team plays"
You have been added to our mail list and will hear from us soon. Off The Ball is live now. Do you want to watch? Do you want to continue listening to the audio stream while you browse?